Dubai: At least 40 Emirates aircraft have gone through an exterior makeover and they’re now sporting special decals to promote a momentous occasion that Dubai will be hosting just a little over a year from now. 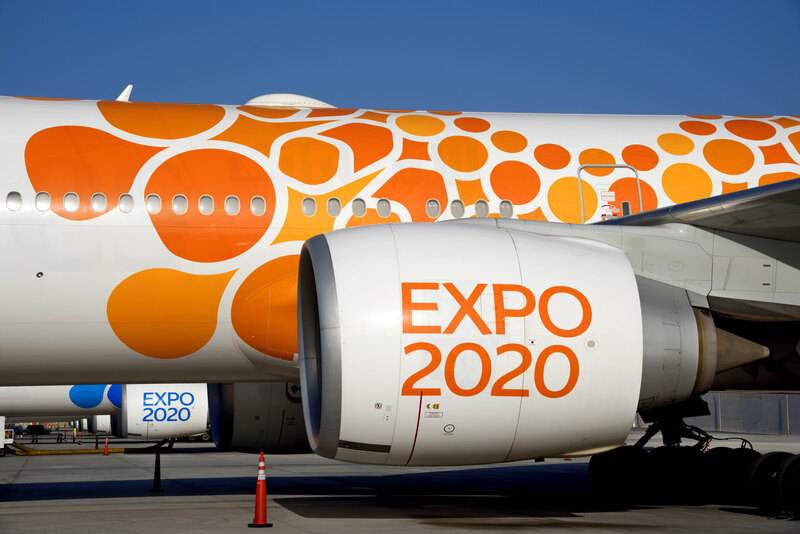 The passenger planes, 20 Airbus A380 and 20 Boeing 777, are now emblazoned with the colours and logo of Expo 2020, further promoting to the world the mega event that is expected to attract 25 million visitors. The new paint job on 40 planes is said to be one of the largest decal projects ever undertaken at the Emirates Aircraft Appearance Centre. It took 15,000 hours spanning over 14 months to finish, with the first one completed in 2017 on a Boeing 777-300ER, featuring a blue decal to represent the Expo’s “mobility” theme. The last to receive the Expo makeover, an A30 aircraft, has just rolled out of the hangar and it’s sporting an orange colour to represent the “opportunity” theme. “As we begin to gear up for Expo 2020 Dubai, we are proactively tapping into the power of Emirates’ network to spread awareness and capture the world’s attention around the themes of this global event,” said Shaikh Ahmed bin Saeed Al Maktoum, chairman and chief executive of Emirates Airline and Group. Dubai is set to open its doors to Expo visitors on October 20, 2020. As of November 2018, a total of 190 countries have confirmed they will be participating in the event. 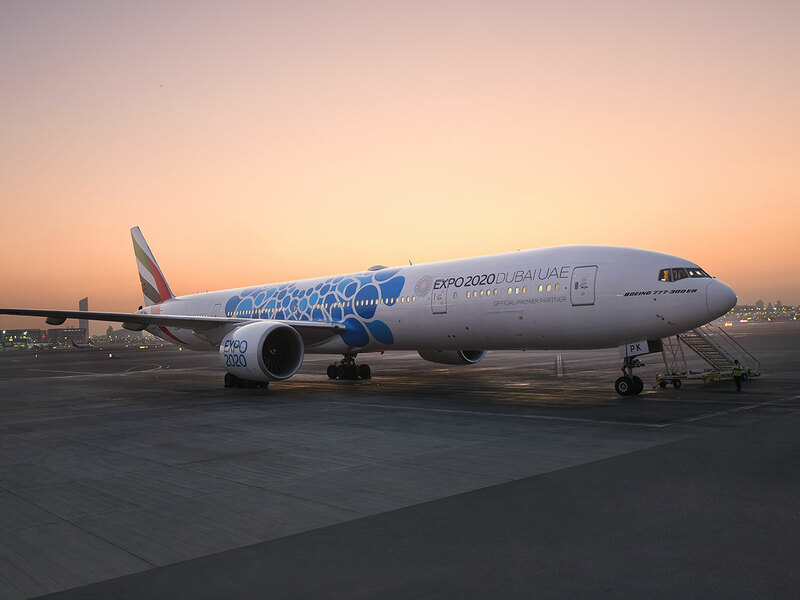 Since the Emirates completed the first Expo decal in 2017, its mini-fleet of Expo 2020 Dubai aircraft have collectively flown to 13 destinations, logging 66 million kilometres on over 15,000 flights. The airline is said to have a vital role in opening up opportunities for Expo 2020 visitors, as it offers direct flights to 67 participant countries. “Seventy per cent of the 25 million people targeted to visit Expo 2020 are expected to utilize air transport,” noted Al Maktoum. “Emirates’ aircraft carry more than just the colours of our sub-themes of Sustainability, Opportunity, and Mobility. They also carry the UAE's message of the power of international cooperation to chart a better future for all, exemplified by an Expo that unites 190 countries and millions of visitors here in Dubai,” added Reem Al Hashimy, UAE minister of state for international cooperation and director general of Dubai Expo 2020 Bureau.